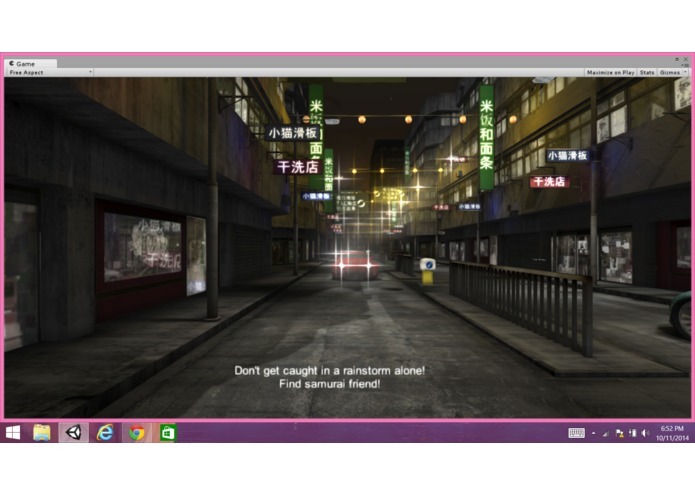 There is a Black Rainstorm in the city of Hong Kong, you must find Samurai Friend to get to safety! You and Samurai Friend have been separated in the vibrant city of Hong Kong during a black rainstorm. You must find him so that you two can be safe together. Follow the sound of his voice!